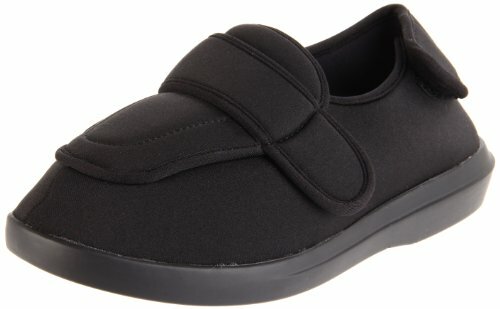 The Propet Cronus Comfort Sneaker is a soft and gentle shoe with good arch support and a relatively flat heal. 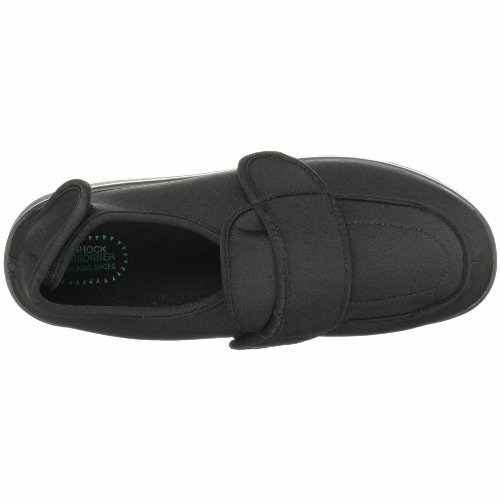 The shoe features a stretchy and breathable neoprene upper with hook and loop straps to ensure a comfortable fit. 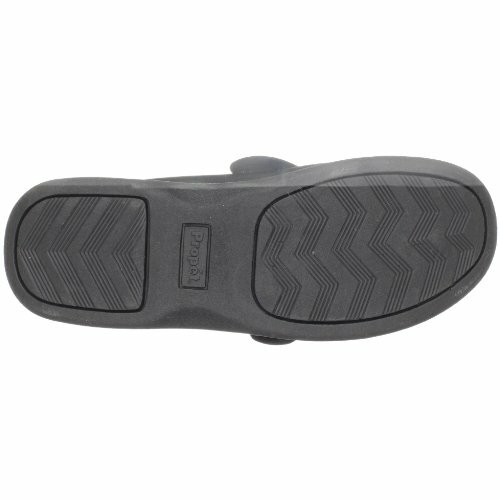 There is a removable insole, and the outsole is textured rubber that provides good cushioning and flexibility. 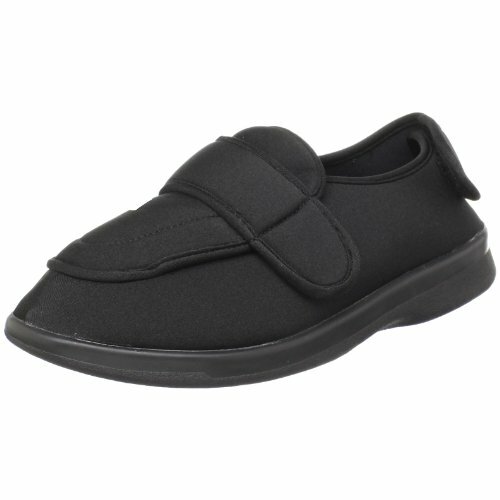 This shoe is ideal for seniors who are suffering from swollen feet, but who want to maintain their mobility. 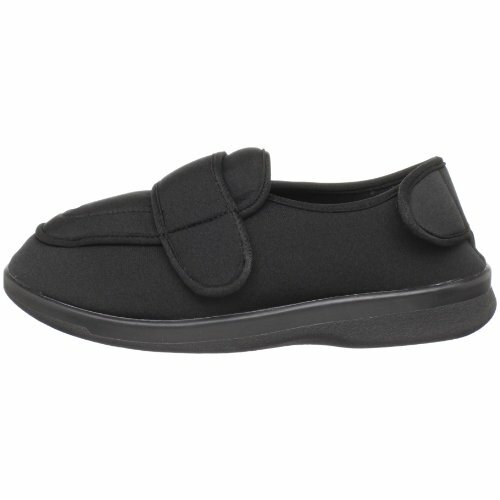 The adjustable straps mean that they will fit most people, and the shoe can be worn over lymphedema wraps or bandages if necessary. Those with very wide feet may find that the sizing doesn’t quite cover them. 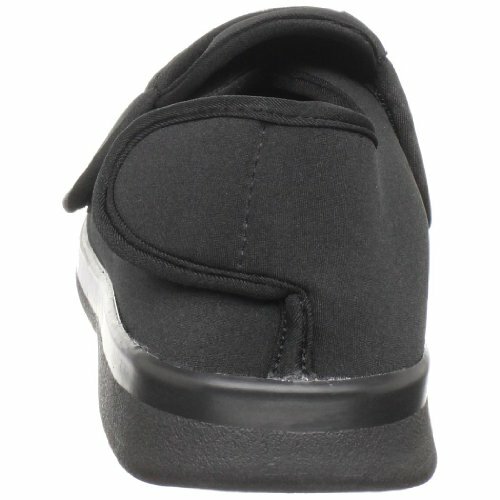 The upper material does stretch and the fit is adjustable but it is clear that the shoe was designed for people with medium or only slighter than average width feet in mind. 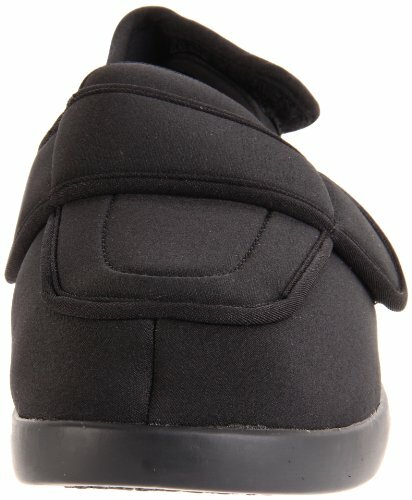 These shoes are available in a range of sizes, including half sizes, for both genders, and there are tan and black colored options to choose from. The look is quite simple and understated, and at first glance they could be mistaken for a casual loafer, rather than an orthopedic shoe. 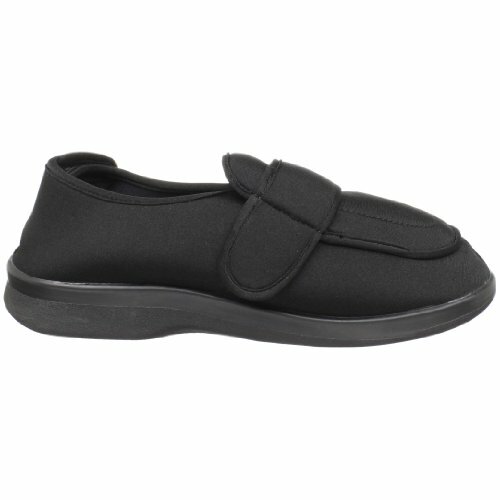 This makes them ideal for older adults who are still in the workforce or who simply want to stay ‘fashionable’, but need a more comfortable shoe because of diabete-related foot complications or other similar medical issues. Buying online is always a challenge when it comes to sizing. These shoes run true to size in terms of length, but it can be hard to tell which width to buy. In general, if you are unsure or if your feet tend to swell a lot it may be worth purchasing the size half a size up from what you would normally wear. 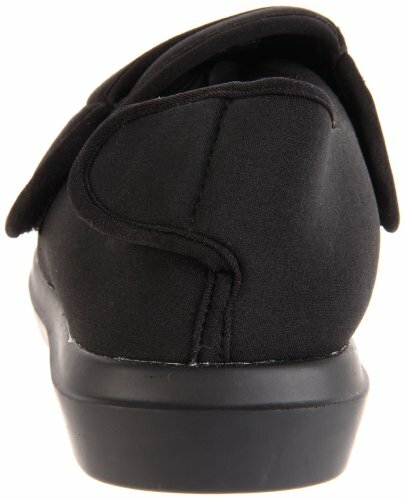 The hook and loop straps allow you to tighten the shoe if it is too big, but you cannot make them bigger easily if you buy a pair that are too small. 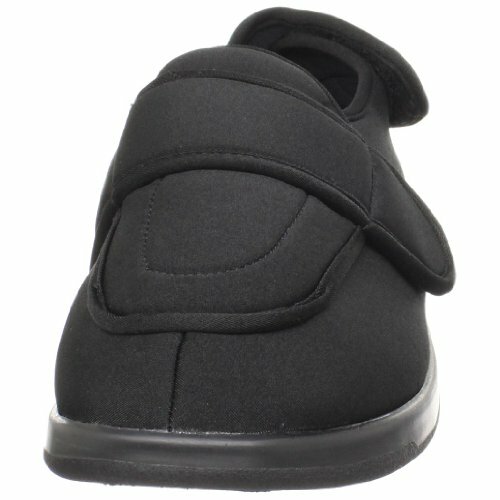 The neoprene is soft and comfortable, and breathable too.